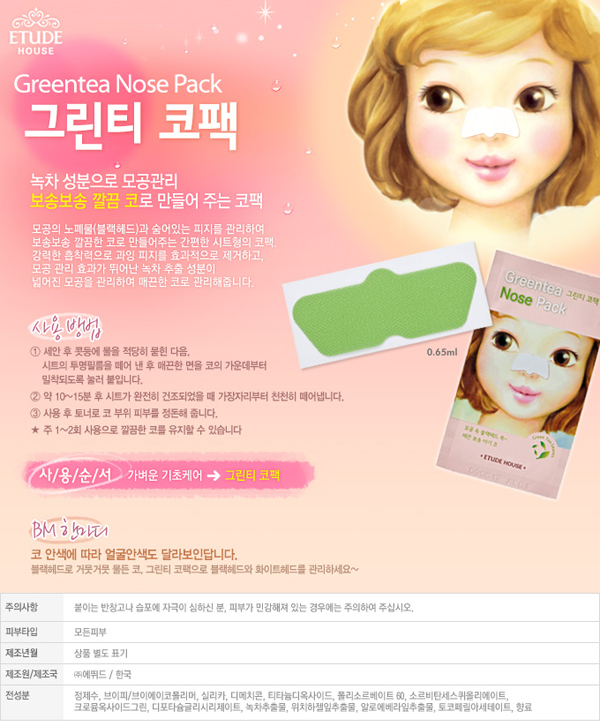 Formulated with green tea additives to remove oil and pore deep sebum. Wet nose with water. Remove clear film from pack and fasten adhesive side to nose. Remove strip when dry.